Stadtalm Naturfreundehaus i Salzburg, Österrike : Boka nu! 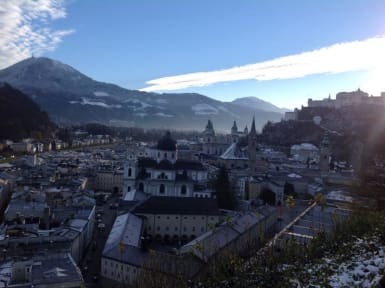 Our hostel is situated in the heart of Salzburg up on the moenchsberg. Our rooms were renovated in 2009 and you'll have the best view over Salzburg in town. Enjoying a unique location on the Mnchsberg mountain in the centre of the city, the Stadtalm Naturfreundehaus offers panoramic views over Salzburg from all rooms, the restaurant and the garden. 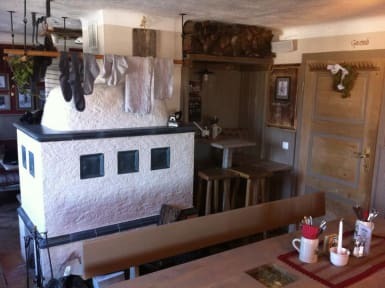 In the rustic dining room with a fireplace or in the charming garden you can enjoy typical Austrian specialities.